C.O. 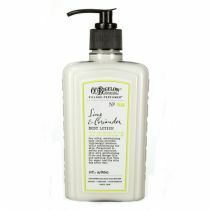 Bigelow Lime & Coriander Hand Wash is a moisture-replenishing, soothing hand cleanser enriched with Pro Vitamin B5 and Aloe Vera. 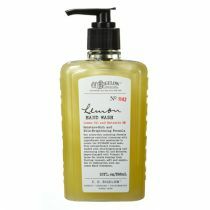 This refreshing hand wash combines excellent cleansing with skin-conditioning ingredients to leave hands feeling soft and healthy, wash after wash. The moisture-replenishing formula blends soothing pro-vitamin B5 with aloe vera to create an exceptional cleanser made especially for the hands. 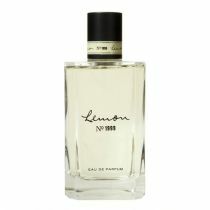 Fragranced with a fresh citrus burst of effervescent lime and exotic coriander leaves. 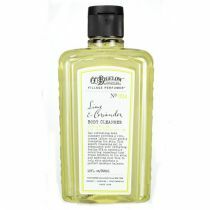 Fragranced with a fresh citrus burst of effervescent lime and exotic coriander leaves. I have purchase this product at a different store. I went back for more and they are caring it anylonger....so I had to find it somewhere else. Why not go to the place that make it. Thanks Bigelow. Your prices are high, but, I love your product. Water (Aqua, Eau), Sodium Laureth Sulfate, Ammonium Lauryl Sulfate, Cocamidopropyl Betaine, Fragrance (Parfum), Glycerin, Decyl Glucoside, Sodium Chloride, Citrus Aurantifolia (Lime) Fruit Extract, Coriandrum Sativum (Coriander) Extract, Panthenol, PEG-75 Shea Butter Glycerides, Aloe Barbadensis Leaf Juice, Tocopheryl Acetate, Sodium PCA, PEG-30 Glyceryl Cocoate, PEG-6 Caprylic/Capric Glycerides, PEG-150 Pentaerythrityl Tetrastearate, PEG-18 Glyceryl Oleate/Cocoate, Triethylene Glycol, Butylene Glycol, Tetrasodium EDTA, Propylene Glycol, Benzophenone-4, Citric Acid, Benzyl Alcohol, Methylchloroisothiazolinone, Methylisothiazolinone, Benzyl Salicylate, Coumarin, Limonene, Geraniol, Hydroxyisohexyl 3-Cyclohexene Carboxaldehyde, Linalool, Yellow 10 (CI 47005), Yellow 5 (CI 19140), Blue 1 (CI 42090), Red 40 (CI 16035).